This post marks the start of a different journey for me. For years I have had my social media life in silos, never mixing work and pleasure. I’m still a few weeks away from a blog over haul, bringing forth visuals and navigation that will allow you to read the subjects that you care about, whether it be marketing, mixology, Bay Area living or parenthood. Until then, enjoy a sampling of what’s to come. 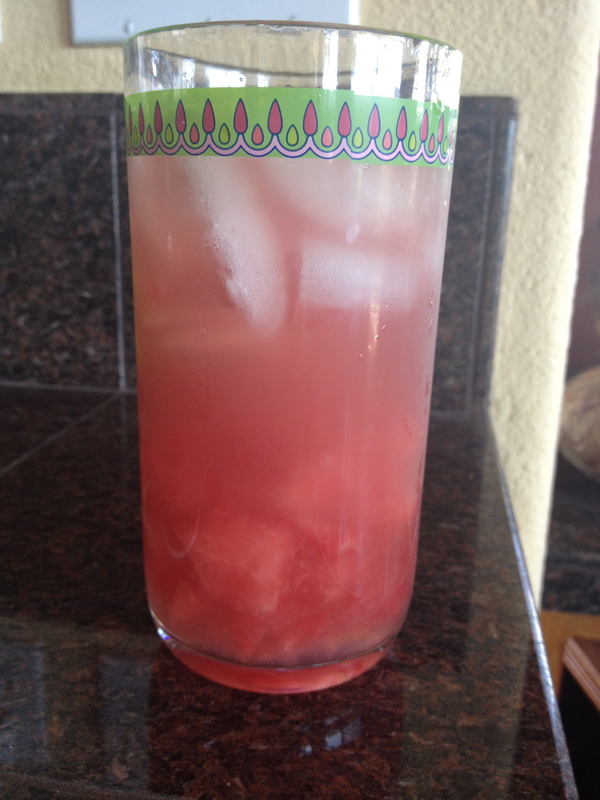 Take large highball glass and put cubed watermelon in the bottom. Using either a long spoon or wooden spoon handle to muddle. Fill glass half way up with ice. Add the vodka, then fill to the top of the glass with sparkling water. Stir thoroughly [at least 30 seconds to mix the watermelon puree with other ingredients]. If you wish, you can substitute the sparkling water with blood orange Italian soda.